It is widely assumed among national and local sports media that the New York Giants and Minnesota Offensive Coordinator Pat Shurmur have tentatively agreed that Shurmur will become the 18th head coach of the New York Giants. The New York Post is reporting that both sides came to an agreement on January 15th, five days after Shurmur interviewed with the team. The hold-up right now is the Minnesota Vikings are still in the playoffs. If the Vikings are eliminated by the Eagles in Sunday’s NFC Championship Game, a formal announcement could be made soon. If not, the announcement will have to wait until after the Super Bowl, which we be held on February 4th. In recent years, the 52-year old Shurmur has served as Philadelphia Eagles quarterback coach (2002-2008), St. Louis Rams offensive coordinator (2009-2010), Cleveland Browns head coach (2011-2012), Eagles offensive coordinator (2013-2015), and Vikings tight ends coach (2016). Shurmur was promoted to Vikings offensive coordinator in 2017. 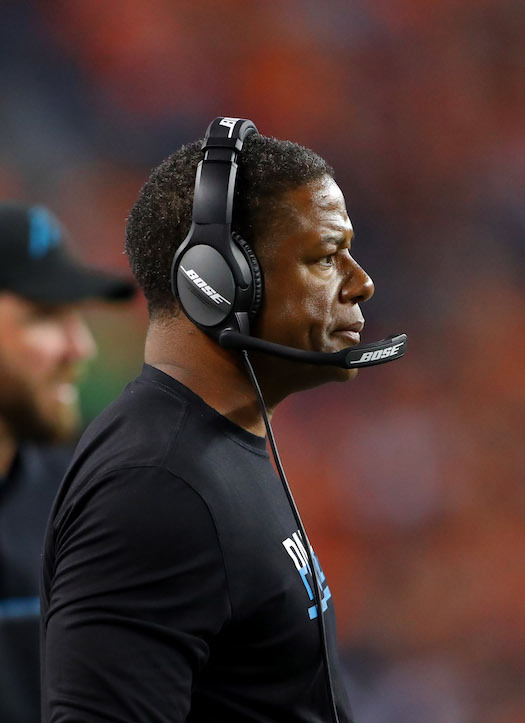 He also served as interim head coach for the Eagles in 2015 and interim offensive coordinator for the Vikings in 2016. 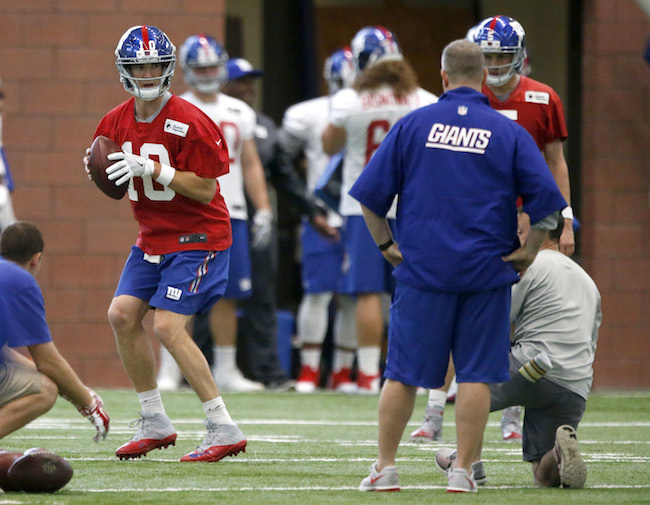 The Giants were the first choice for Shurmur. 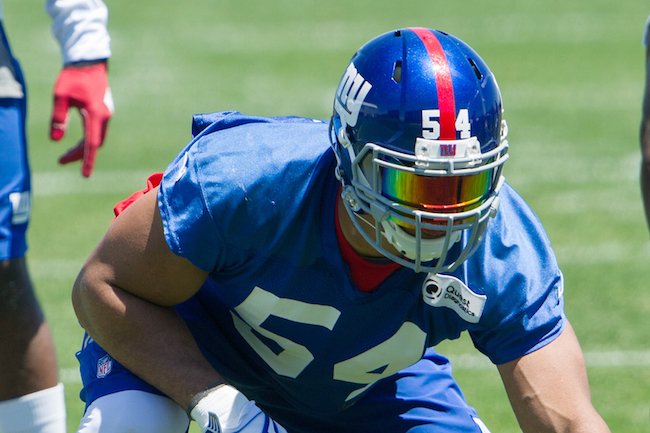 “He was always infatuated by the Giants because the Giants are the Giants,’’ said a source. Selling points were the team’s ownership, roster, quarterback situation, and 2018 draft position. Shurmur supposedly thinks Eli Manning can still play and having the #2 pick in the draft to possibly spend on a quarterback is also attractive. 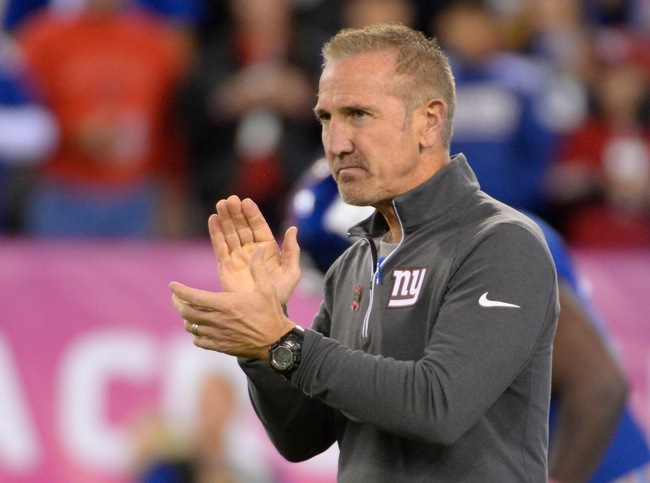 Steve Spagnuolo, who served as the team’s interim head coach for the final quarter of the season, may be retained as defensive coordinator by Shurmur. Both worked together in Philadelphia and St. Louis. The Giants were disappointed that they lost Defensive Line Coach Patrick Graham to the Green Bay Packers. 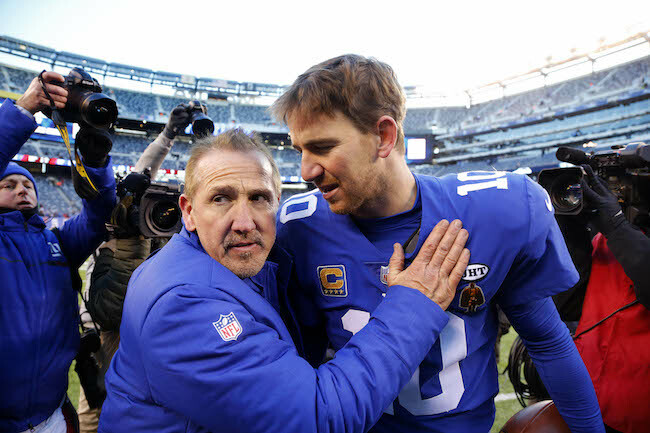 The New York Post and Newsday are reporting that Dave Gettleman met with quarterback Eli Manning for the first time last Friday in Gettleman’s new role as general manager of the New York Giants. Manning has two years and $22 million in base salary and $11 million in bonuses left on his current contract. His 2018 cap hit is currently scheduled to be $22.2 million. Manning also has a no-trade clause in his contract. New York Giants Offensive Line Coach Mike Solari has joined the coaching staff of the Seattle Seahawks. Solari is the sixth Giants coach to depart this offseason, including Offensive Coordinator Mike Sullivan, Quarterbacks Coach Frank Cignetti, Jr., Wide Receivers Coach Adam Henry, Tight Ends Coach Kevin M. Gilbride, and Defensive Line Coach Patrick Graham. 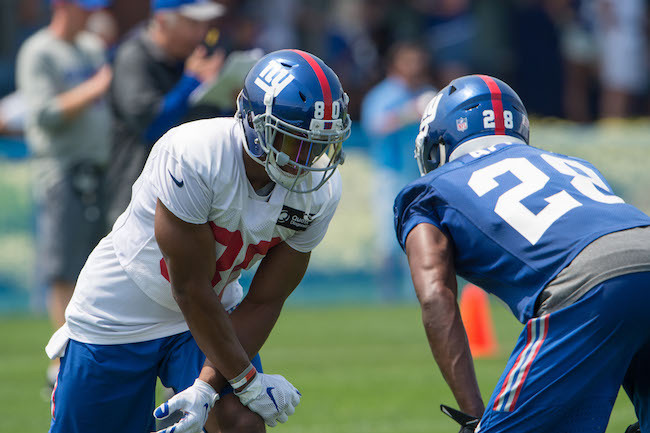 New York Giants tight end Evan Engram and defensive tackle Dalvin Tomlinson have been voted to the Pro Football Writers’ “All-Rookie Team.” Engram and Tomlinson were selected in the 1st and 2nd rounds of the 2017 NFL Draft by the Giants, respectively. 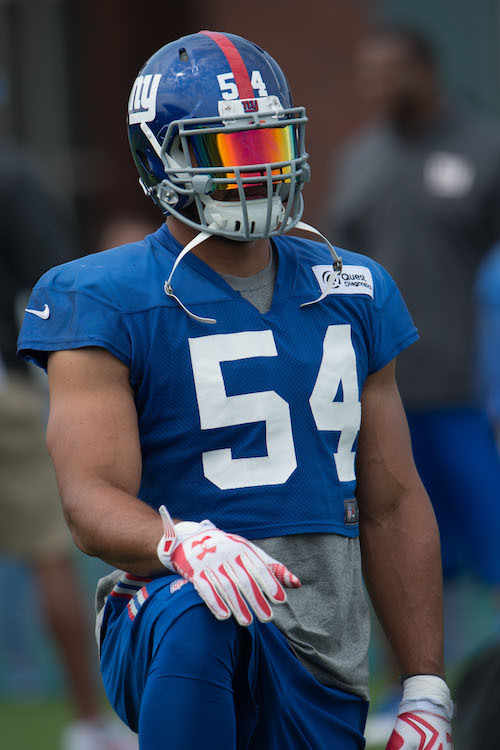 Running back Paul Perkins (ribs), center Weston Richburg (concussion), defensive end Olivier Vernon (ankle), linebacker Jonathan Casillas (neck), and linebacker Calvin Munson (quad) have all been officially ruled out of Sunday’s game against the Seattle Seahawks. 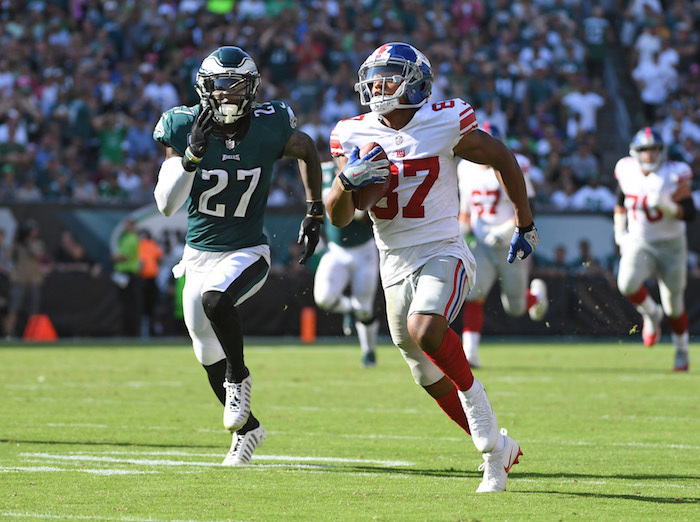 Wide receiver Sterling Shepard (ankle) is officially “questionable” for the game. Guard John Jerry (tooth), safety Landon Collins (ankle), and long snapper Zak DeOssie (wrist/elbow) are unofficially “probable” for the game. There is no media availability to the New York Giants on Saturday. The Giants play the Seattle Seahawks at MetLife Stadium on Sunday afternoon. Wide receiver Odell Beckham, Jr. (ankle), offensive lineman D.J. Fluker (leg), and linebacker B.J. Goodson (leg) are officially listed as “questionable” for the game against the Detroit Lions on Monday night. Linebacker Keenan Robinson (concussion) will not play in the game. Wide receiver Tavarres King (ankle), right tackle Bobby Hart (ankle), defensive tackle Jay Bromley (knee), and cornerback Janoris Jenkins (ankle/hand) are “probable” for the game. There is no media availability to the New York Giants on Sunday. 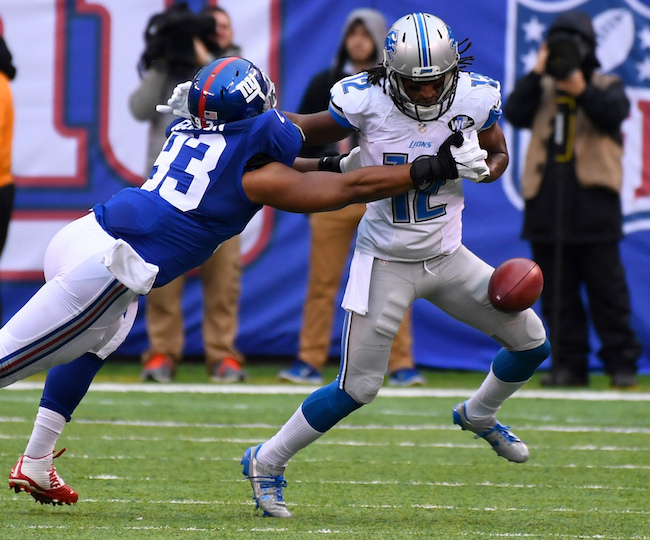 The Giants play the Detroit Lions at home on Monday night. Safety Darian Thompson (foot) and defensive end Kerry Wynn (concussion) have been ruled out of Sunday’s game against the Philadelphia Eagles. Running back Bobby Rainey (calf), offensive tackle Marshall Newhouse (calf), safety Nat Berhe (concussion), and quarterback Ryan Nassib (elbow) are “questionable” for the game. Wide receiver Odell Beckham (hip) and long snapper Zak DeOssie (ankle) are “probable” for the game. There is no press availability to the team on Saturday. 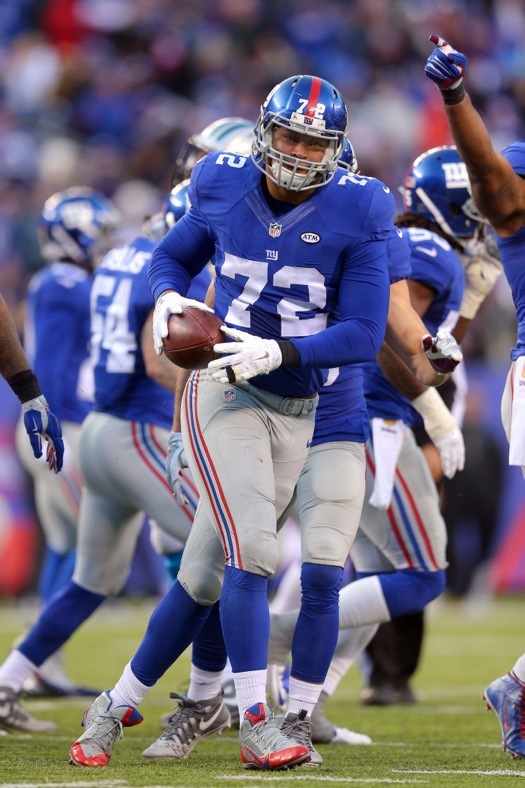 The Giants play the Philadelphia Eagles at MetLife Stadium on Sunday at 1:00PM ET.